Vaccines save approximately 9 million lives every year, yet more and more parents are making the decision not to vaccinate their children, which puts them and others who cannot get their shots at risk to contract deadly diseases. As the current measles outbreak continues to rise, debates between pro-vaccination advocates and those who oppose vaccines, oftentimes called “anti-vaxxers,” have become increasingly heated. But the true problem is that there isn’t a debate to be had, or at least not on medical grounds. Serious reactions to vaccinations are extremely rare, and usually only occur in those with weakened immune systems. There is no evidence that proves even a casual link between the measles, mumps and rubella (MMR) vaccine, and autism, a complex neurodevelopment disorder that affects children in varying degrees. But why do so many people believe a connection exists? A 1998 article, ultimately shown to be bogus, was published in the British medical journal The Lancet. 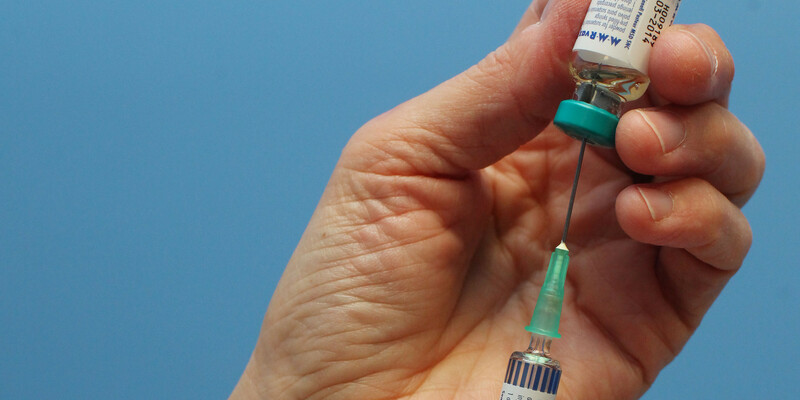 The study reported a link between autism and the MMR vaccine and is frequently used by anti-vaxxers to prove the dangers of immunizing children. However, the author of the study, Dr. Andrew Wakefield, was found to have extensively falsified the data. The study was quickly discredited and retracted from the journal in 2010; Wakefield was stripped of his medical license. Both public health officials and doctors agree that vaccinations are essential to protecting those who cannot be vaccinated for various health reasons, including cancer, weak immune systems or children who are too young to get their shots. Many states, however, still allow immunization exemptions for religious or philosophical reasons for public school children. According to the Center for Disease Control, there were about 1,000 medical exemptions and more than 17,000 philosophical exemptions for the 2013-14 school year in California. According to Californiahealthline.org, at Waldorf Early Childhood Center in Santa Monica, 68% of children had a “personal belief” exemption from vaccination. With those numbers, It comes as no surprise that the measles outbreak was traced back to California’s Disneyland in Anaheim. Some arguments used by anti-vaxx parents are that the diseases the vaccines are designed to protect their children from – smallpox, mumps, measles, whooping cough, and more – are “old” or “extinct” diseases. They believe that their children are healthy enough to resist the disease if they become infected. But measles can be deadly. The World Health Organization estimates that there were upwards of 145,000 deaths globally due to measles in 2013. While vaccines have brought several major and deadly illnesses under control, these “extinct” diseases aren’t completely eradicated. In areas with high populations of unvaccinated children, old diseases today pose a potentially fatal threat. Decisions regarding health legally are to be made by parents, but those adults should not only consider the health and safety of their own children, but also of the kids who come into contact with theirs. Putting other people – and other people’s children – at risk for personal beliefs is down-right dangerous behavior. As someone who tested positive for tuberculosis as a child and had a weakened immune system for many years as a result, it saddens me to know that some of the 102 measles cases in the United States this year have struck children too young to be immunized. Vaccinations protect very young children like these who would otherwise be helpless against the virus. Every state in the U.S. should follow in the footsteps of Mississippi and West Virginia, the only two in the nation that allow only medical exemptions from full vaccination. Immunization is important and necessary for public health. I can only hope that anti-vaxx advocates learn this before their own children suffer unnecessarily from a catching a disease that could have been avoided.